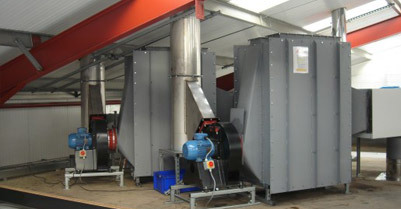 ASK Piearcey designed the adsorbers for the removal of odour generated by the baking of pet food treats. The adsorbers were then fabricated by the customer with ASK Piearcey Ltd assisting with the sourcing of the carbon. ASK Piearcey also assisted the customer with the choice of pre-filter to remove the oil aerosol present in the off-gas. ASK Piearcey were asked to investigate the odorous releases from a high temperature autoclave sterilisation process. Tests were conducted for hydrogen sulphide and ammonia and then a full scale abatement system was designed to handle the fume and other extracts. For more information on industrial odour control please call us on 01909 518 837 or 07877 456 718 and ask for Andrew.